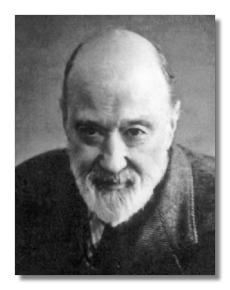 Charles Ives was a super-cool, trail-blazing composer who also had a successful career as an insurance salesman. He’s our composer of the week! Charles Ives grew up in Danbury, Connecticut, where his father, George Ives, worked as a music teacher and band leader. George Ives had a tremendous impact on young Charles’ musical development from the very beginning, teaching him to engage in inventive thought when playing music. At age five, Charles Ives began playing the piano with his fists. He never stopped. Beginning at age 14, Ives worked as a church organist, which influenced many of his early works. He went on to study music at Yale while also playing on the varsity football team. As he grew older, his works became more dissonant. Ives was known for his use of polytonality, polyrhythms, tone clusters, and quarter tones. Despite the general awesomeness of Ives’ music, he was relatively unknown as a composer until after his death. As such, he was a very successful insurance salesman who specialized in life insurance for the wealthy. Charles Ives stopped composing in 1927 but continued revising his earlier works for many years. -Charles Ives’ early music was fairly easy on the ear and also quite fabulous! I highly recommend his String Quartet No.1. -A highly patriotic individual, Ives wrote much of his music as aural descriptions of places he visited. These works include Three Places in New England and A Symphony: New England Holidays. « July is here. Happy American Composers Month!